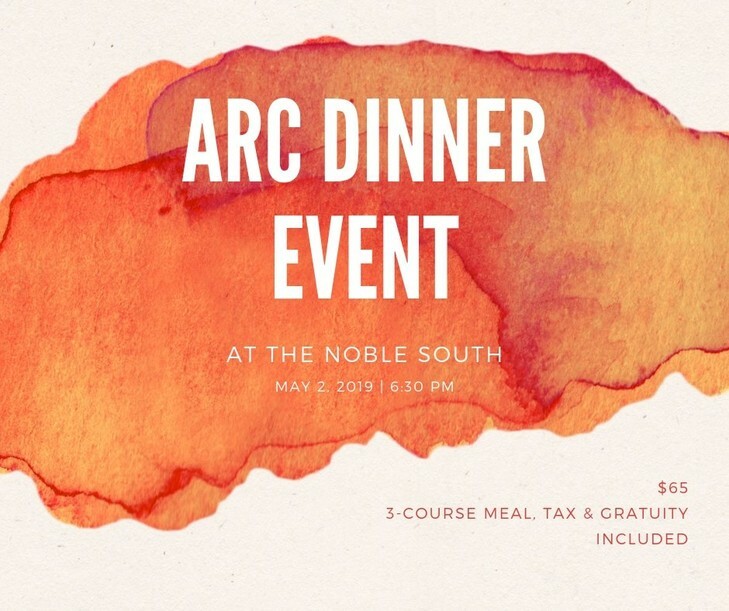 An e-cookbook to benefit ARC. The expert chefs at Noble South are working to bring you the “freshest, most creative vegan menu that you have experienced.” Yes please! We can’t wait! For more details and tix, please click the image below. 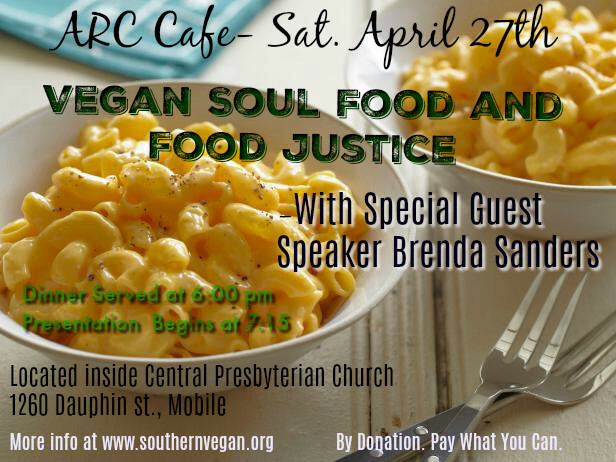 For the entire month of May, ARC is challenging area restaurants to add a vegan meal to their menu. The challenge is to have a clearly designated vegan meal listed on the menu. If the vegan items are a success, (and of course they will be! ), we hope participating restaurants will keep the vegan item(s) on the menu. 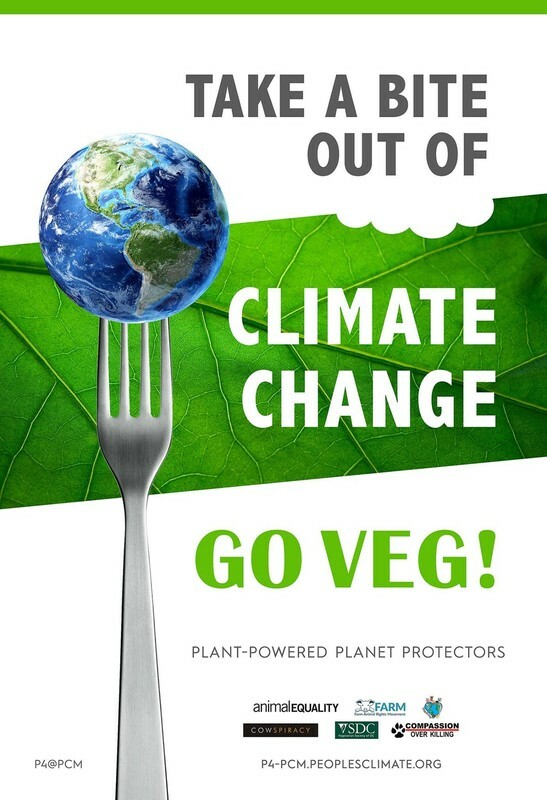 Participating restaurants will be featured in our ARC vegan dining guide on-line (which will go live May 1st) and in our promotions around the challenge, and will display the Mob Town Veg sticker in their window. All you have to do to be entered is check in at any of the participating restaurants on social media, tag ARC, and post a photo of yourself and/or your delicious vegan entrée and use the hashtag #MobTownVeg or #MobTownVegChallenge, and you’ll be entered to win! 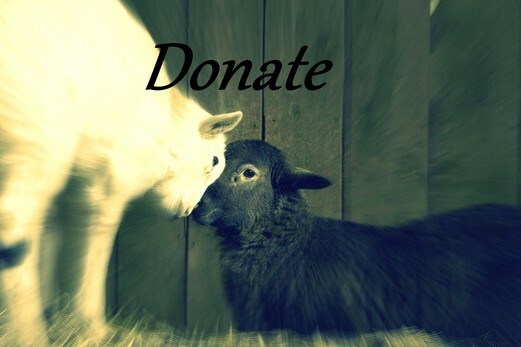 Each time you dine at one of the participating restaurants and enjoy a vegan meal, you will be entered again. There is no limit on entries. So the more you eat out at participating restaurants during the month of May the greater your chance of winning! The only requirement is that your meal be entirely vegan! Enjoy! And we'll see you out on the town! 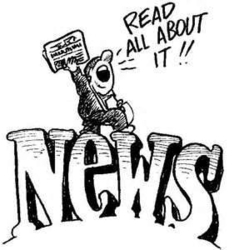 Read the latest newsletter here and see what we're up to at ARC! When an ARC member asked us to save a pregnant "beef" cow on the way to the stockyards, we weren't sure how to help. Thanks to Full Circle Farm Sanctuary who was able to take her, Sylvia will now live out her life, with her calf, and all the other rescued animals at the sanctuary, in peace and freedom, surrounded by gentle loving friends, as all beings deserve. "A human being is a part of the whole, called by us, 'Universe,' a part limited in time and space. He experiences himself, his thoughts and feelings as something separated from the rest -- a kind of optical delusion of his consciousness. This delusion is a kind of prison for us, restricting us to our personal desires and to affection for a few persons nearest to us. Our task must be to free ourselves from this prison by widening our circle of compassion to embrace all living creatures and the whole of nature in its beauty." 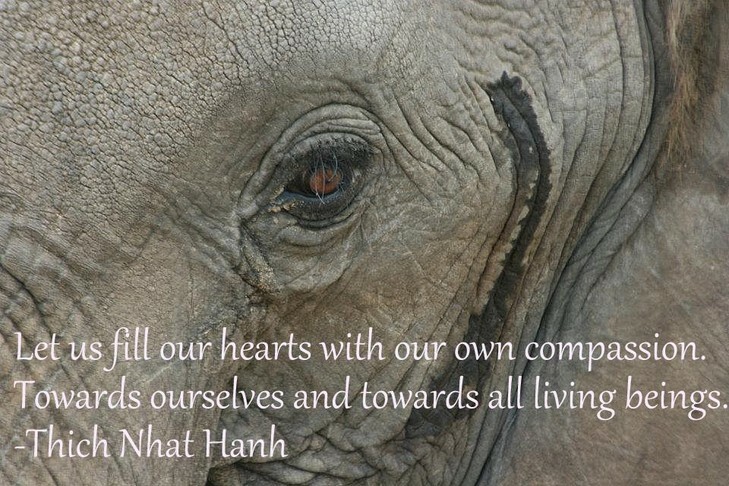 Awakening Respect and Compassion For All Sentient Beings (ARC) is a non-profit, non-partisan organization based in the Deep South (Mobile, AL) whose mission is to raise awareness about the impact our daily choices have on other species and the environment, as well as our own health, to inspire compassion for all sentient beings, and to guide, lead, and inspire positive transformation to create a more sustainable, compassionate, just, and healthy world for us all. Join us!